Running PlanetCatfish.com has its ups and downs. When in the dark depths of a "down" I am continually reminded of the wonderful truly global reach of this site and the positive effect it has. 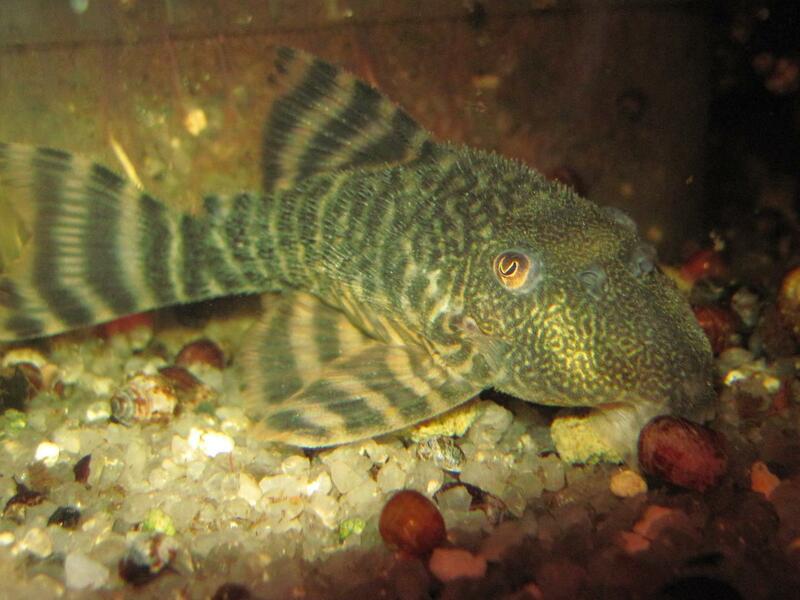 This week, I have been sent pictures of a rare Brazilian catfish from an aquarist in Taiwan, I'm working on an article coauthored by American and Dutch nationals and, to crown it off, we have this month a Ukrainian Catfish of the Month contributor. Aside from international kinship, this article is also interesting to me as it details the spawning events that, almost to the day, were being replicated in my fish room. Same species, same time frame, one group in Scotland and one in the Ukraine. Alexandr Geraskin will explain those events below. Originally the fish came from Iquitos in Peru to Odessa in the end of spring 2008. 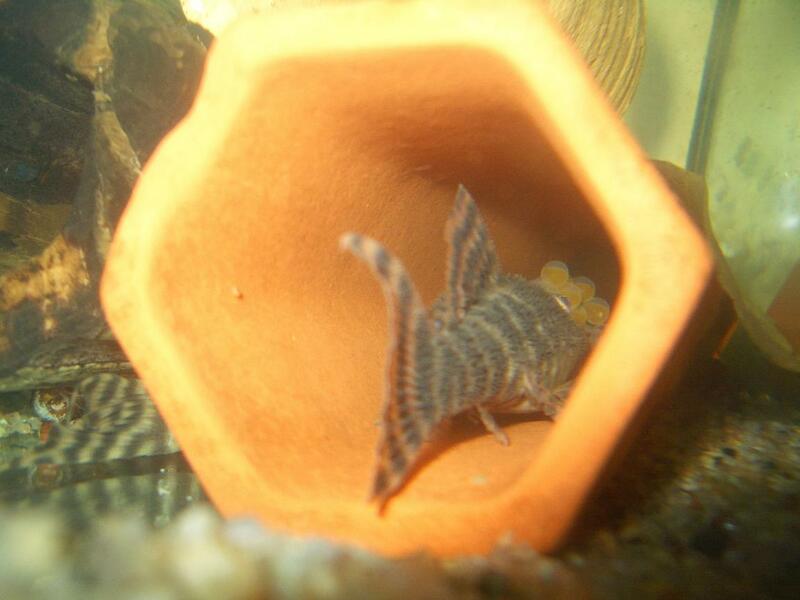 It was within a shipment of different small plecos that were purchased by my friend Yuriy Karavanskiy. 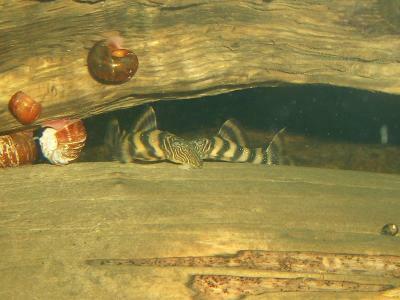 Among these plecos were a pair of Panaque sp. 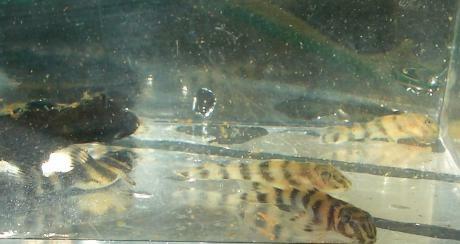 L206, a pair of P. dentex and a pair of P. changae. The latter were already adult, so their real age is unknown. Yuriy kept them for a year and then, in the second part of the summer of 2009, my friend sold them to me. For more than a year I did nothing with them in an attempt to get them to spawn. I just fed them and from time to time and changed the water. 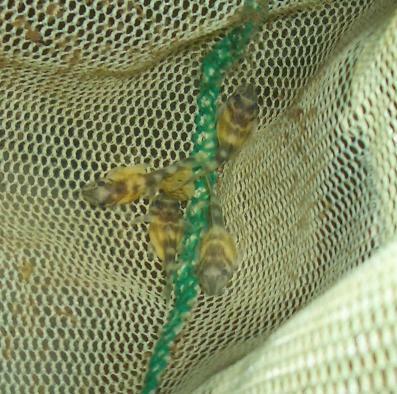 They were moved from one tank to another several times. Finally, I decided to put them into their own separate tank. In November 2010 I moved them to 54l (60 x 60 x 30cm) tank without light and performed a water change, that day, of about 80% RO water. The filter was 600 l/h. The aquarium has some clay and wood caves present. The temperature was 30°C. The male occupied one of the caves, but nothing more happened. I left them as they were. After that point, I didn't change the water for a month, I just fed them. The temperature was still 30°C. The water was about 50 microsimens. One day I noticed that the female and male were sitting in one cave. I started daily water changes of 30% with RO water. The temperature fell to 25°C. And after the fifth day, I noticed that that female had left the cave and the male was guarding a clutch of eggs. For the first two days I tried not to look into the cave, but my curiosity got the better of me. I began therefore to trouble the male once a day. 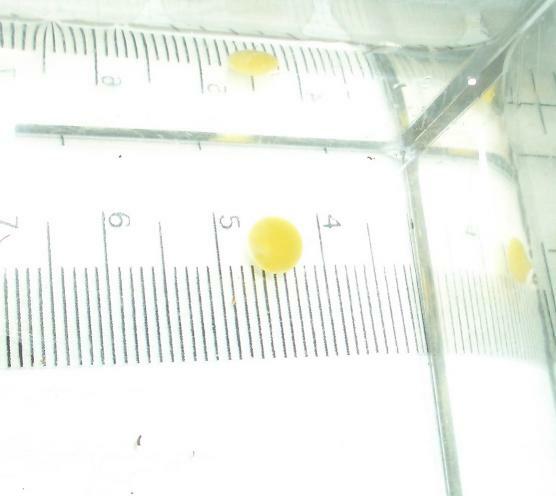 After I looked several times into the cave the male pushed out six big yellow eggs that were about 5mm in diameter. 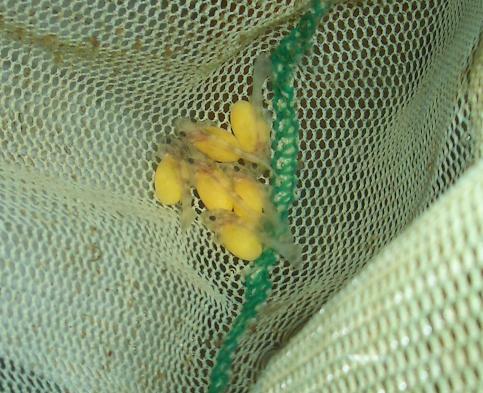 I removed them to an anglers landing net pressed into service as an impromptu nursery near the top of the water not far from the filter. The next day I found out that all the rest of the eggs in the cave had disappeared. 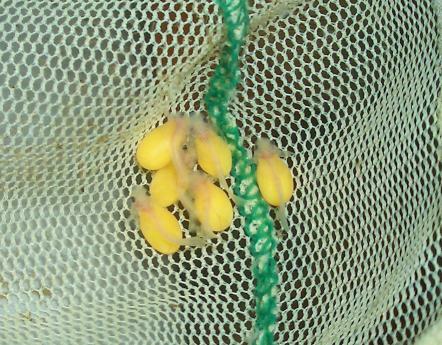 The eggs in the net looked like they were OK. After 3 days the fry hatched. 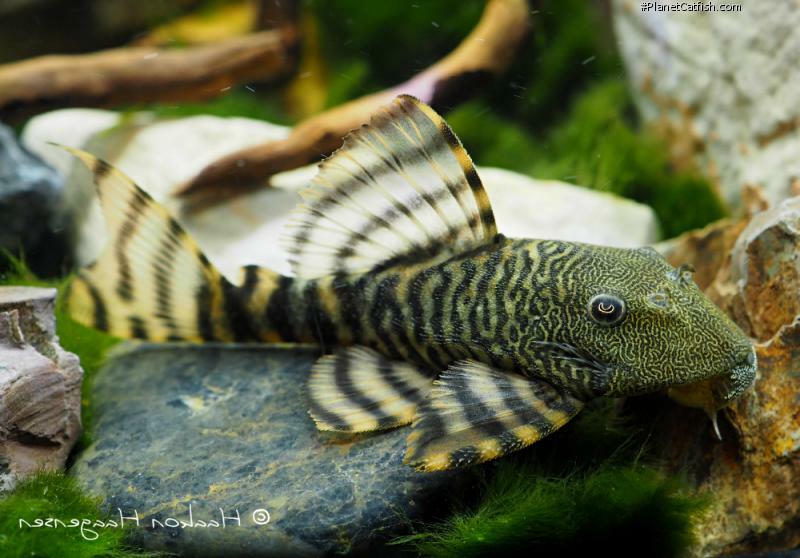 The fry of this species grow much faster than Hypancistrus fry and so when P. changae reached 3 cm long I removed them into a community tank with adult Panaque sp. L204, Peckoltia brevis and some different Ancistrus. Now they are more then 4 cm TL and, I do hope, really quite happy! Etymology Panaqolus: Inelegantly derived from the indigenous term Panaque and in a form that infers a smaller size than that genus. Size 100mm or 3.9" SL. Find near, nearer or same sized spp. Breeding Has been bred in captivity, a cave spawner with a preference for wooden caves. Breeding Reports There are 4 breeding reports, read them all here. There are 48 registered keepers, view all "my cats" data. 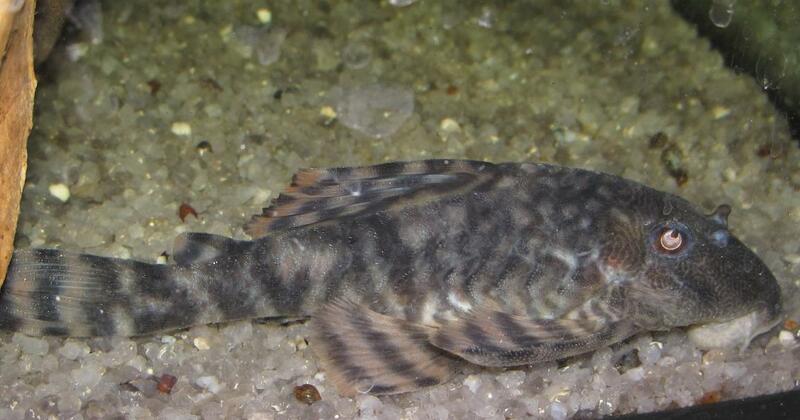 There are 9 records of this fish being seen, view them all.